It’s an addiction -this Craigslist bargain hunting bug. You’re not looking for anything in particular, just something interesting to act like a piece of chewing gum for your brain. 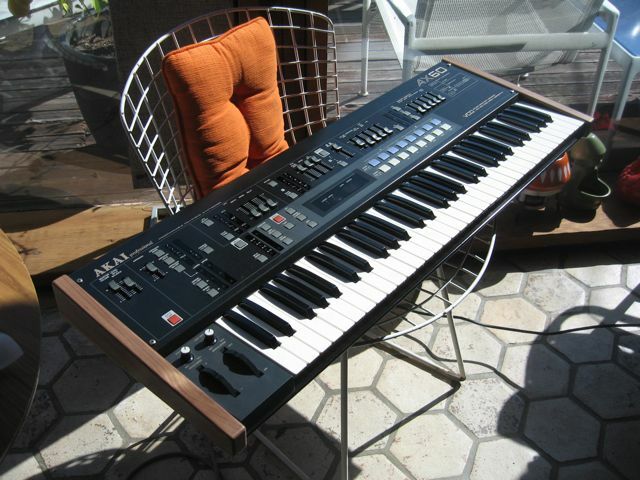 In such a fashion this Akai AX-60 came into my life. A quick VSE search led me to believe they were worth buying and the price was right on this one. It had two physically broken keys, the big display window had detached from the front panel and it was dirty but all the sliders were present and all voices and filters worked. Silly me I didn’t take an overall before picture -this is a way after, it’s up for sale era picture.